Your dining experience is more than great food. It is community experience centered on culinary expertise, fresh ingredients, healthy options and a shared sense of environmental and social responsibility. 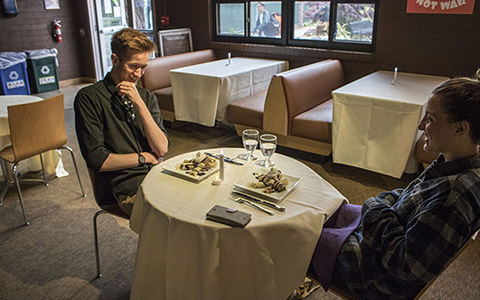 San Francisco State Dining Services excels at offering the ultimate campus life experience with regular promotions, semester events and prize winning contests. Below is just a small sampling of what students, faculty and staff can enjoy. With our Mindful program we seek to make the healthy choice the easy choice. Our chefs and the registered dietician have worked together to create an exciting collection of recipes with satisfying portions, fewer calories, and great taste. Our Elite Events transform our locations into high-end restaurants serving a variety of cuisines. From steak to seafood to a create-your-own dessert bar, you’ll love all of our Elite Event options. 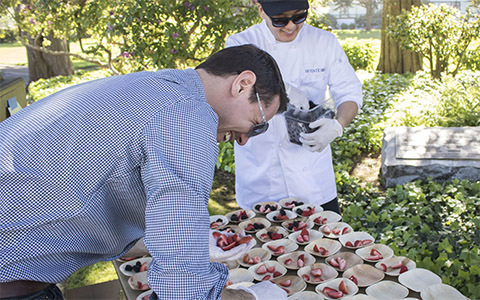 Sodexo has placed sustainable practices at the forefront of all that we do, from recycling on campus to responsible food sourcing. 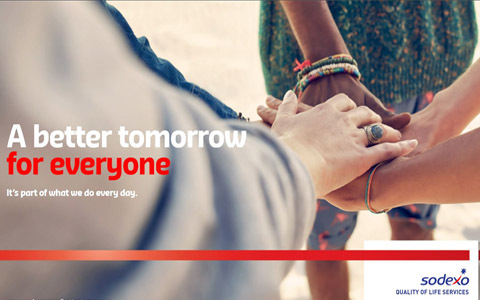 Our Better Tomorrow Planoutlines all of our commitments. Gift packages are available for purchase throughout the year. Fresh-baked sweets such as cakes, cookies and cupcakes, or healthier options such as fruit and assorted nuts or sandwich platters are available for pick up or delivery by your student anytime. 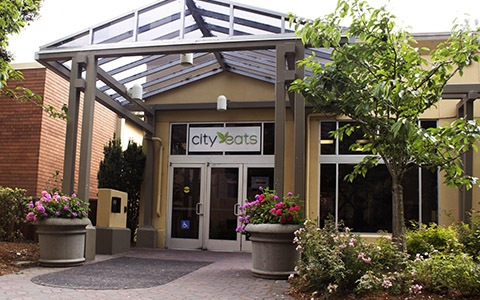 City Eats is the residential dining commons serving the campus community an array of all-you-care-to-eat selections. Choose from a variety of platforms dedicated to offering the foods you love. 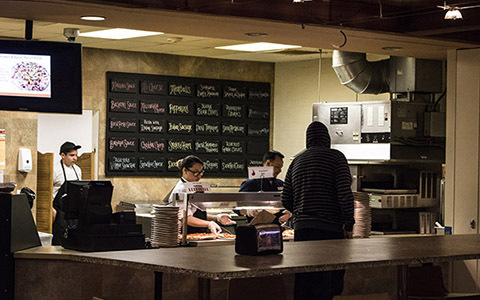 Throughout the dining commons, you’ll easily find vegan, vegetarian, and allergen-free dishes by looking for the designated marks. Fresh brewed coffee comes alive with signature favorites and seasonal specials at Café in the Park featuring all the Starbucks Coffee favorites, as well as house baked pastries and bagels. 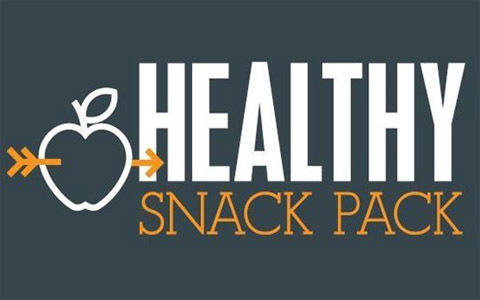 Students will also enjoy Simply to Go meal options including sandwiches, salads, and desserts. 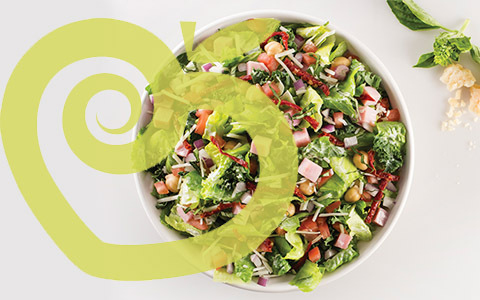 Simply to Go options are made daily using local, farm fresh ingredients. Not meal plan eligible; Gator Dollars accepted. Bricks offers customers a delicious assortment of made-to-order pasta, quality fresh pizzas, and an array of to-go options. Meal plan eligible; Gator Dollars accepted. Participation in a meal plan is mandatory for all Licensees residing in all San Francisco State Housing with the exception of University Park North (UPN) and University Park South (UPS) Licensees and Students with Families (See Voluntary Meal Plans below). The minimum required plan for new residents is the 240 Block Meal Plan. This plan will be defaulted to if a specific meal plan is not selected on the License Agreement. Meals that go unredeemed are non-refundable at the end of the school year. Meals are non-transferrable. Students with Families and residents in UPN an UPS can purchase Voluntary meal plans directly from San Francisco State Dining Services. Voluntary meal plans do not expire as long as you are an active student at San Francisco State University. Active student ID required. Various meal plan options are available for residents through San Francisco State Dining Services. For instructions on how to change or cancel your meal plan go to our 'Change or Cancel a Meal Plan' guide. Meal plan descriptions are available at San Francisco State Dining Services. Gator Dollars are the University currency. Gator Dollars work just like cash at residential dining facilities. You can use them to buy additional meals or to invite guests. Gator Dollars are not provided by Housing as part of the meal plan. Gator Dollars can be added on the OneCard website.